And my crochet hat is also finished, I winged the entire thing, I had an idea that you could make a border that looked like knitting so that the hat would stretch a little, it turned out a bit big, but boyfriend claimed it fitted so we will see when he comes home today. Which is why I haven't cut the thread yet, in case it needs altering. The blue hat is made of yarn that has reflector in it so that when the wearer is out and about cars will hopefully see him. It was fast and fun to do. 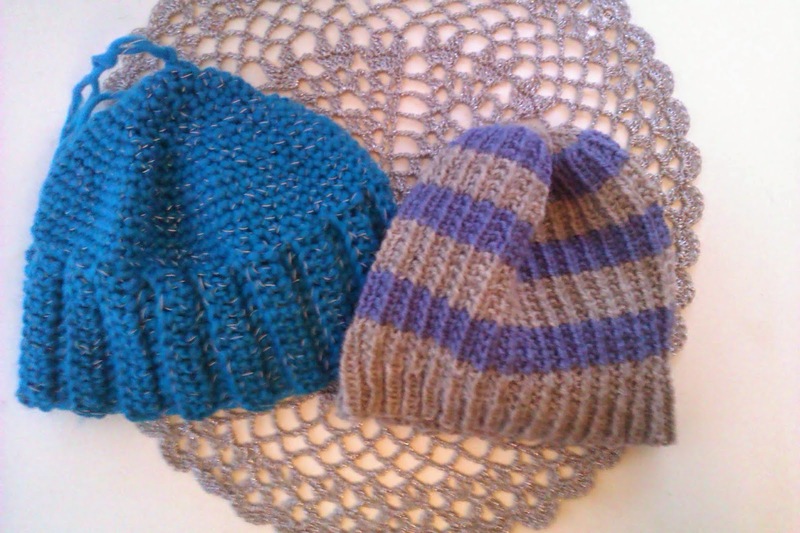 I want to make more hats, maybe one for my mother next. I hope spring comes in earnest soon.